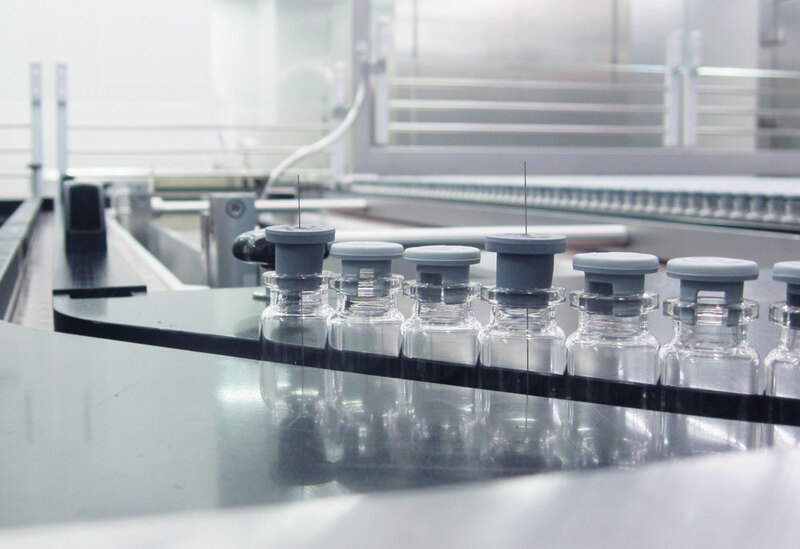 Tempris was developed for lyophilization in collaboration with leading pharmaceutical companies and universities in Europe and the USA. 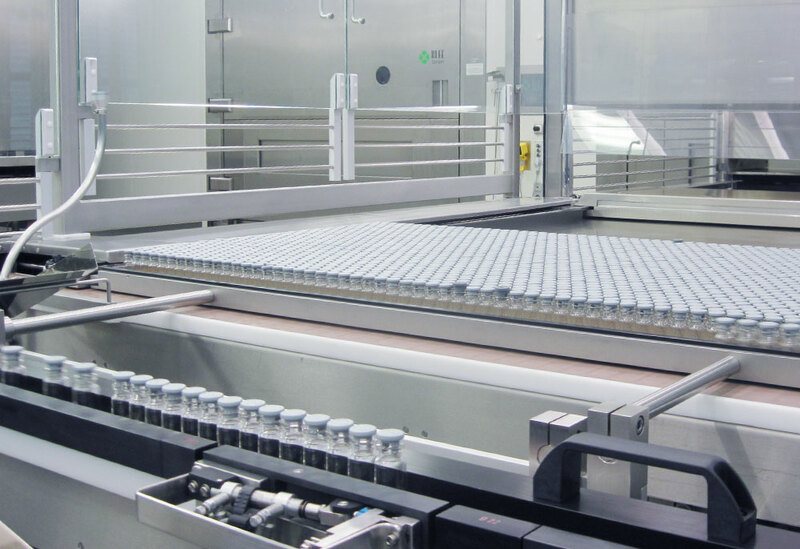 The same Tempris sensors used in laboratory scale can be used in pilot and production freeze-dryers under cGMP guidelines to obtain directly comparable data. 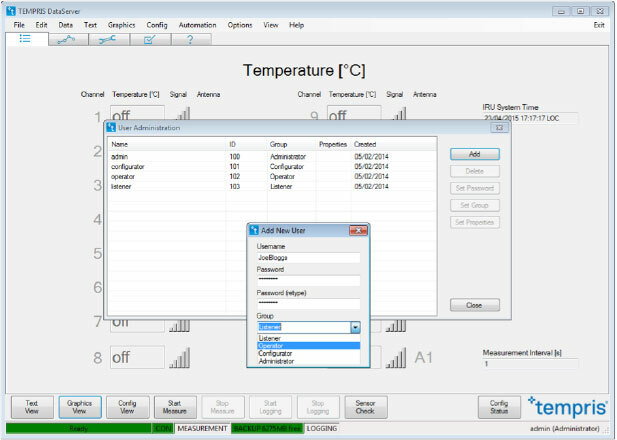 Experience the new freedom of wireless, battery-free and real-time measurement of product temperature Tp during the freeze-drying process. 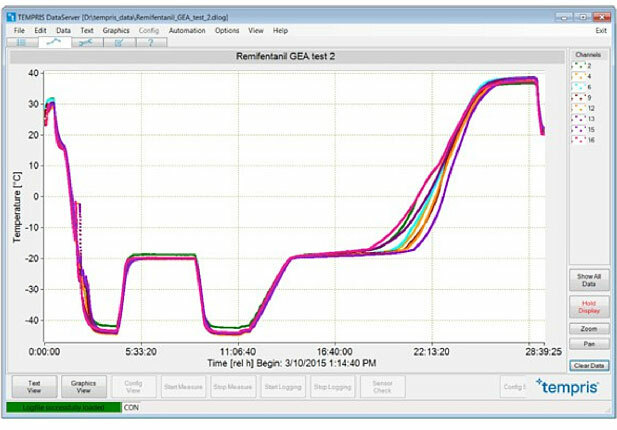 Tempris as a PAT tool provides the most important information about Tp in the freeze-drying process and thus amazing opportunities for process optimization and product quality improvement. 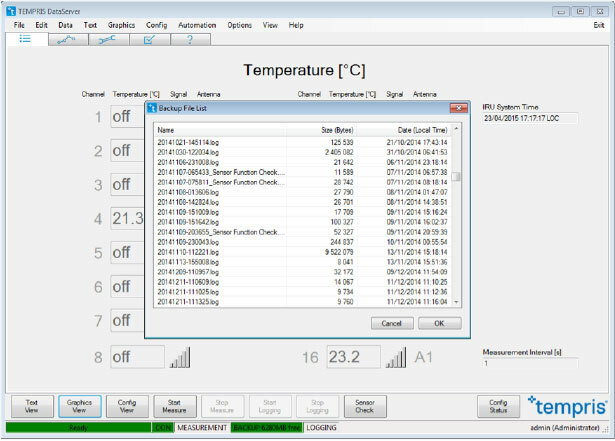 Wireless, battery-free and real-time measurement, unlimited data storage; measurement data is provided in real-time for storage on a connected PC or SCADA system. 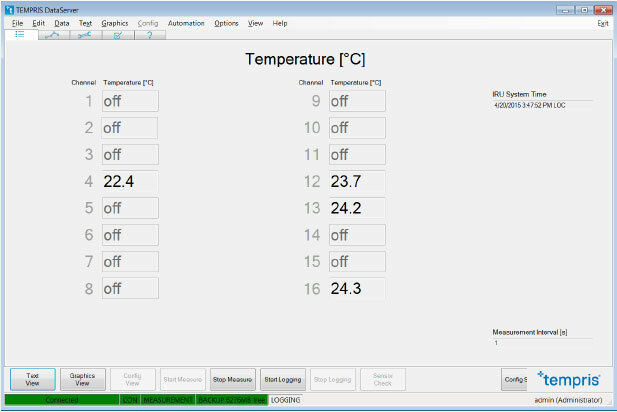 Real-time monitoring of product temperature in vials, dual chamber syringes (DCS) and bulk in lyophilization / freeze-drying. 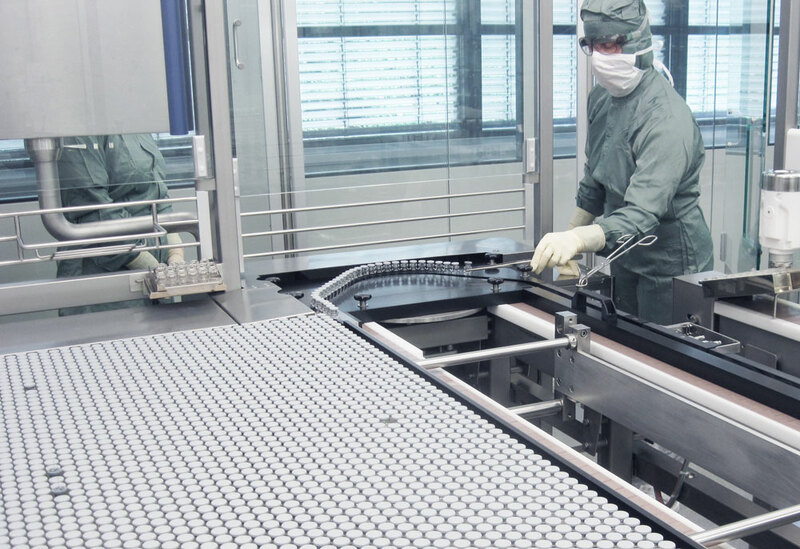 Only with the exact positioning of the sensor in the vial, the measurement data becomes comparable and provides the pharmacist with valuable information throughout the freeze-drying process. 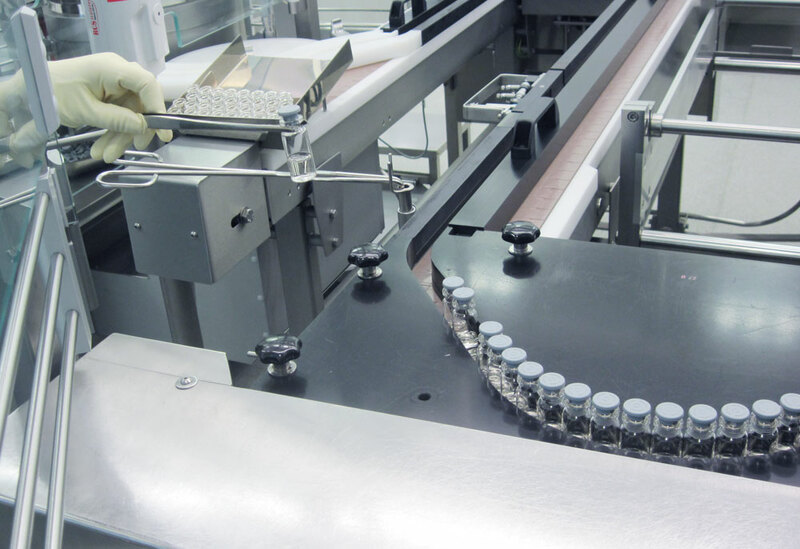 With smart accessories such as PIT, CCP and S-ANT, it becomes easy to place Tempris sensors reliably and accurately at the desired position. With the piercing tool, the sensor in just a few simple steps can be combined with the stopper. The sensor is positioned together with the centering crosspiece (CCP) at the bottom of the vial. 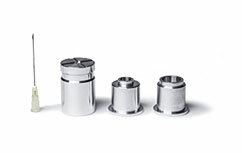 For use in cGMP, the sensor is sterilized together with the stopper and CCP. 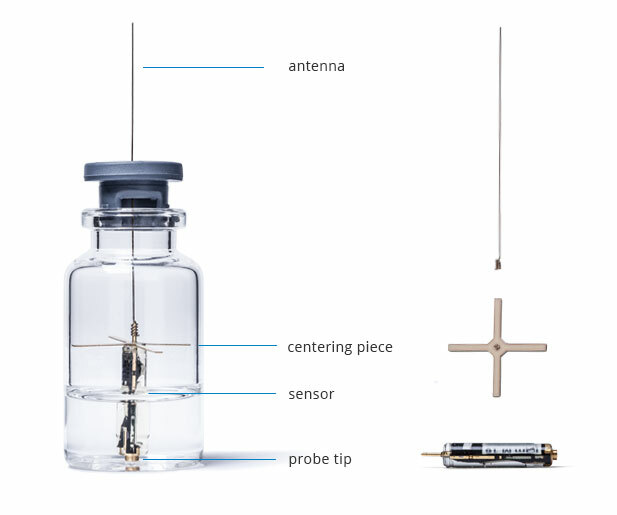 The Centering Cross Piece ensures that the sensor is positioned exactly at the center bottom position of the vial. 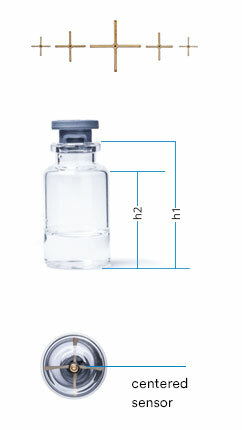 Different CCP’s are available for different vial sizes. 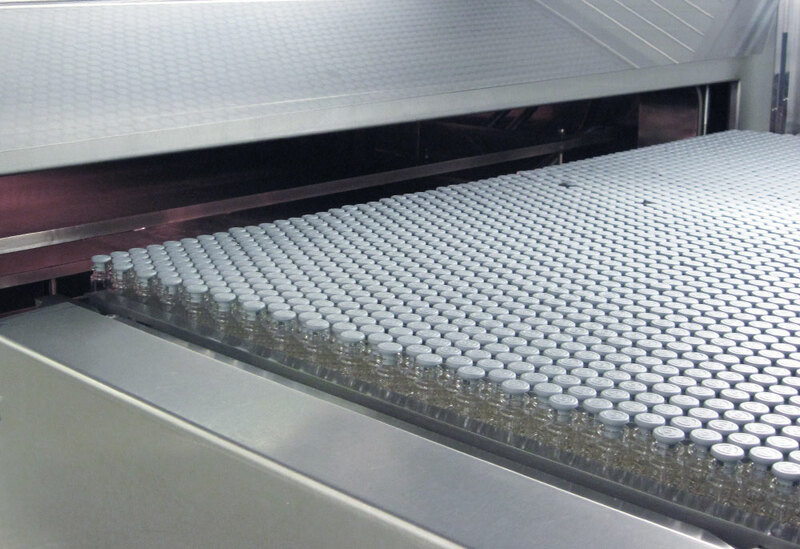 The disposable CCP is cGMP compliant. The disposable sensor antenna is made of thin, flexible stainless spring steel and is cGMP compliant. This antenna is specifically designed to be compatible with the stoppering process. 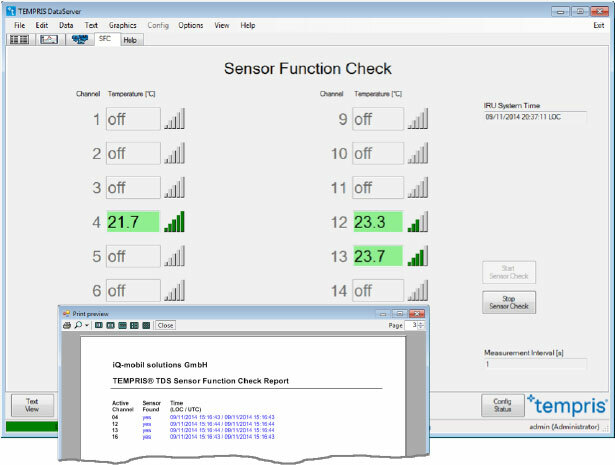 Four sensors with calibration certificates, TDS software for real-time data monitoring, antenna for acrylic door, accessories, installation guide and operating manual. For data visualization, a PC or Laptop (Windows 7 or Windows 8) is required. Simple and quick to operate. Up to 16 sensors with calibration certificates, external or internal antennae (CIP/SIP), accessories, TDS software, operating manual and installation guide. The measurement data is stored in real-time on the TLAB.transfer unit. The measurement system is mounted with a few simple steps and immediately ready to use. Options: Compliance with GAMP 5 and FDA 21 CFR Part 11, IQ/OQ documentation, engineering support for system adaptation (URS) and installation, training. 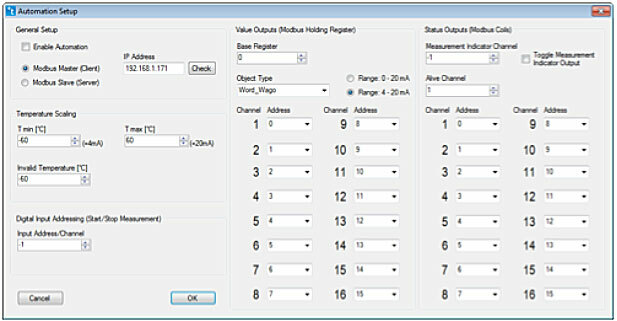 Up to 16 sensors with calibration certificates, CIP/SIP antenna kit with antenna multiplexer, accessories, PLC/SCADA interface for automation, GAMP 5 and FDA 21 CFR Part 11 compliance, TDS software, operating manual and installation guide, IQ/OQ documentation, engineering support for system adaptation (URS) and installation, sensor handling solutions at RABS/Isolator via RTP, automated loading/unloading, training, etc. 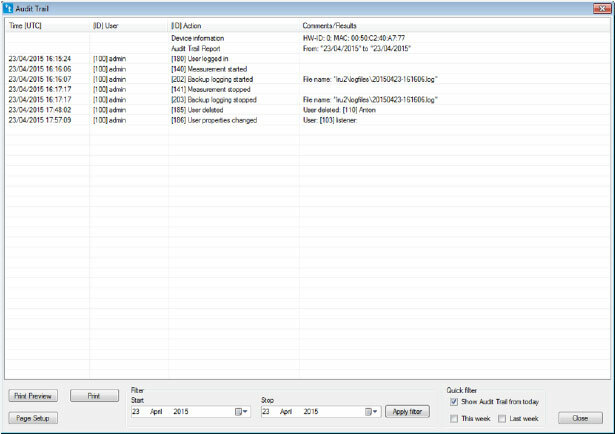 The measurement data is stored directly on the TIRU radio interrogation unit and on the PLC/SCADA computer in real-time. 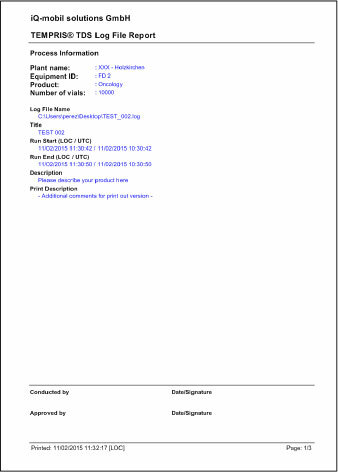 Optional: Maintenance and calibration service agreement, PQ support for HCS definition. 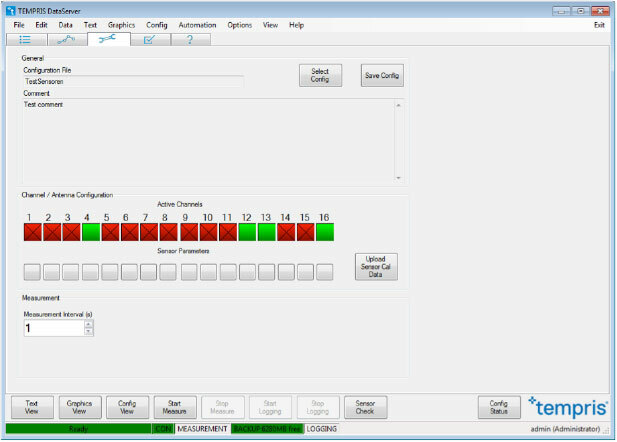 Tempris measurement data export for further processing in spreadsheet applications such as Microsoft Excel. Positioning of Tempris sensors on the transfer cart as per the predefined loading plan.